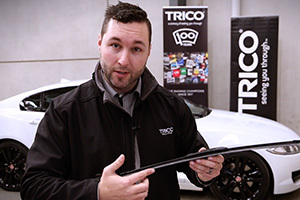 Trico, one of Australia’s leading wiper blade companies teamed up with DBC2 last month to produce a number of engaging videos for organic social media content. Analysing previously produced video performance through social media analytics, DBC2 was able to pin-point what type of videos proved to be the most engaging, and then tailor and develop a new video series for the Trico Facebook page. In short, concise 30-60 second length videos (for maximum engagement), the focus of the new series is to answer the questions that many people have about wipers, both brand and non-brand related. DBC2 spent a full day filming at Trico, working together to produce over a dozen videos, making for a very successful day of video production. The new Trico video series will be great organic, engaging video content that will start to roll-out on Facebook over the next few months. For a sample of what our in-house video production team was able to come up, hit the play button below!